Following a recommendation by the fire department, city council approved an increase in Emergency Medical Service (EMS) service rates. 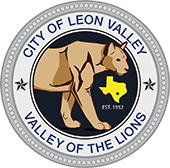 This rate increase represents the first rate increase over the past ten years for this type of service within the City of Leon Valley. As your Fire Chief, responsible for our EMS services, I am very considerate of the changes in rates for our services in the community. This rate increase came after a lengthy and thorough assessment by our entire team. This assessment was used to determine the best and most appropriate course of action to present to city council. Our assessment included comparisons with ten EMS service providers, the increase in cost of medical supplies, and our own EMS collection rate. Our assessment discovered that the Leon Valley Fire Department’s EMS rates were among the lowest rates in the region. The cost of EMS supplies has also risen dramatically in the past previous ten years (see small sampling in embedded image), and our EMS billing collection rate has been approximately 30% during this time frame. It can be very challenging to manage the rising cost of providing emergency medical services in our community. The fire department cannot control the cost of EMS supplies, and I was more than disappointed to see how quickly the cost is rising, especially medications. With a cost of an ambulance being nearly $300,000 (including supplies), and the cost of qualified Paramedics, training, and other supportive needs (Medical Director, State Health Service Compliance, etc. ), it was my recommendation that in order to sustain a quality service for our community, a rate increase was needed. We are all working very hard to continue to provide excellence in emergency services and appreciate your support. Please let us know if you have any questions and stay safe!